I get all kinds of emails asking for suggestions. One question I get asked is what is my favorite part of town? I do love SE Portland and it’s for a number of reasons. I love the eclectic feel of the different neighborhoods, obviously the vast food choices, the funky shopping and even some great walking trails and fun activities that take place in the streets and on the mountains in this part of town. So if I were to spend a whole day in SE Portland these are the places, events & walks I would definitely suggest…. It depends on if you want to sit down for an elegant breakfast, or try a food cart or grab something to go so you can eat and walk around and take in the sights. 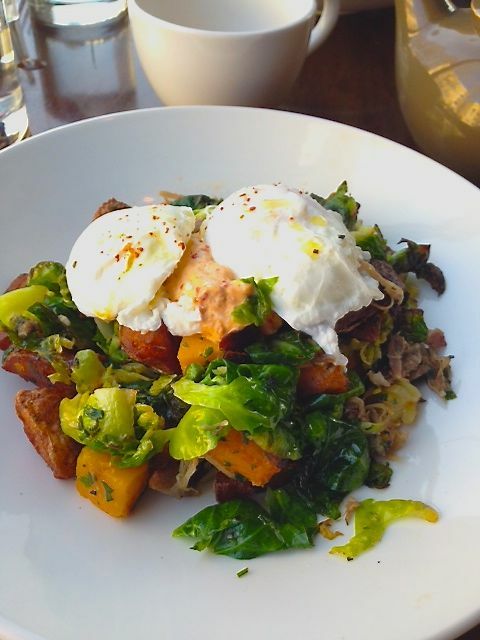 Accanto is a great place to sit down for a nice breakfast option. You will want to start with the Ricotta donuts with lemon curd. Amazing food and a great open, bright space. They are only serving breakfast on the weekends. Dinner is pretty great as well. The Egg Carton is a great food cart that offers breakfast dishes that will amaze you. Not only that but everything is served on real plates so you kind of forget you are at a food cart. My favorite is her Bennies, but the Monte Cristo FoPo is a must try item as well. Happy Sparrow is a great place to grab something quick and cheap. They offer Kolaches. Think little buns stuffed with goodies like ham & cheese or sausage & egg….you get the idea. The list is large of what they offer. This is a great option if you want to get your food to go. Easy to carry and eat. Love breakfast? Then you might need this. Here is where you get your water, napkins and cups. There are many places to grab lunch, but food carts are a great option for some spectacular food at an affordable price, but so is sitting an eclectic patio. 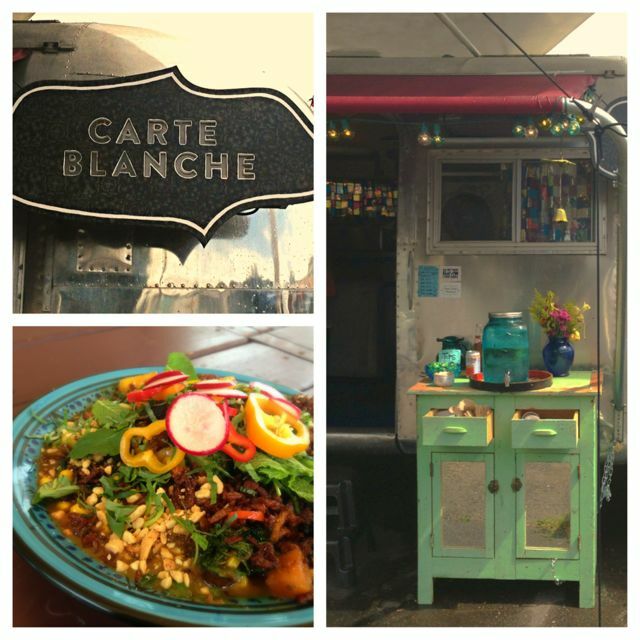 Carte Blanche is my most favorite food cart in Portland right now and a great place to stop for lunch. They have a fully covered tent with a heater for the cold weather. Her food will make your mouth sing. I promise. There are also a few other carts in this pod. Check out Duende also for some great amazing food. Por Que No? 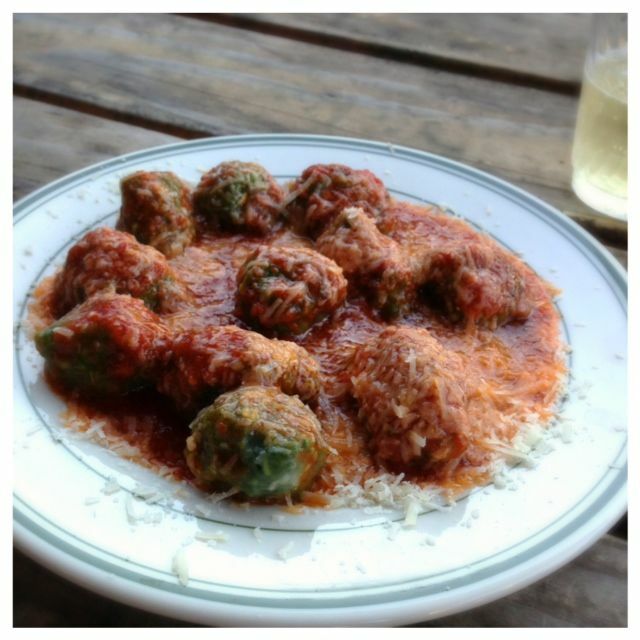 offers great food at an affordable price, plus the outdoor seating in the back is super cute. You just might not want to leave. Try whatever their seasonal veggie taco is, those are always so good. Bollywood Theater – We really love this Indian restaurant. It’s casual and has great outdoor seating for those warmer months. Portland does not lack for coffee shops, but I like different and intriguing. 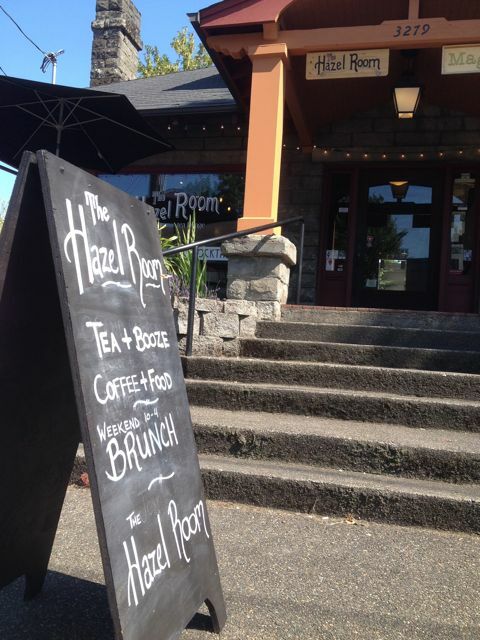 The Hazel Room – Tea + Booze Coffee + Food. It’s hard to pass up a sign like that. Portland has so many breweries, even urban wineries and tons of places to just grab a drink for half price fair. The Farm Cafe which is largely a vegetarian menu, has some great offerings during happy hour with great prices. Plus the space of the old house is just quaint. 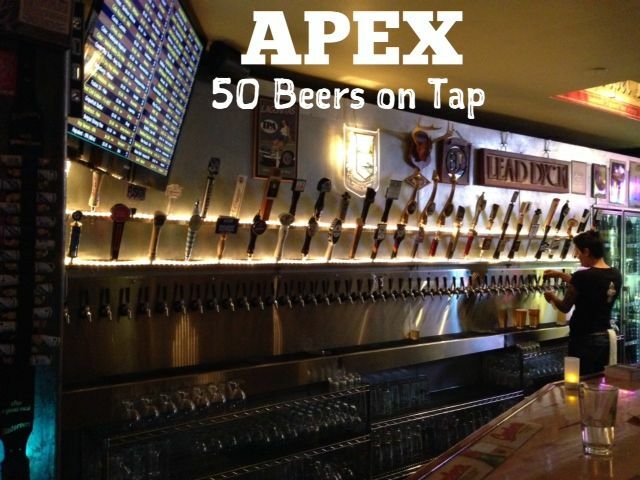 Apex – With 50 beers on tap there is something for everyone. Drinks only at this place. It’s just off the Springwater Corridor and it has tons of bike parking. Coalition Brewery – Great little brewery. After a day of shopping and walking and even some eating there are a number of ways to end your day. Special with a glass of wine, or even another food cart. Ava Gene’s is perfect for that special dinner out. It was voted Portland’s Best Restaurant for 2013. Hokusei is an amazing sushi place and there is rarely a wait. It’s very “fish forward” although they do have some rolls. Sit at the counter for dinner and a show. I love just watching them create spectacular dishes. Hike up and around Mt. Tabor. Better yet get the book Portland Stairs Walks and do the Mt. 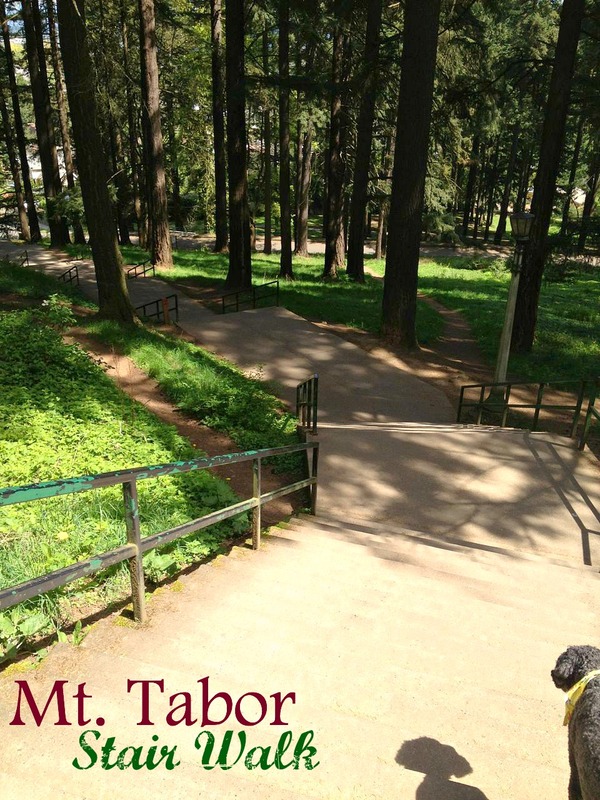 Tabor stair walk. Shopping the vintage stores that line Hawthorne. In the summer months Belmont, Hawthorne and Division/Clinton have their very own street fairs where they close the streets to traffic and it’s a big ol’ party with lots of vendors. Anytime of the year you can wander along the East Bank Esplanade and take in the views of downtown Portland from across the river. In August you can hike up Mt. 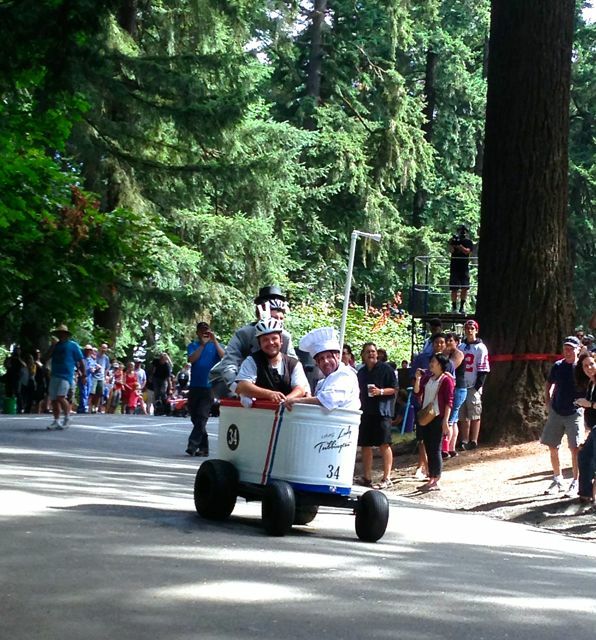 Tabor and enjoy the Adult Soap Box Derby. We have been and it’s as fun as it sounds. Ride your bike on the Springwater Corridor to Cartlandia, which is a very large food cart pod. Ride your bike from Sellwood, along the Springwater Corridor, to the East Esplanade. No cars at all, but watch for walkers and other bicyclists. Check out even more places in SE Portland. Looking for more ways to enjoy your time in Portland? 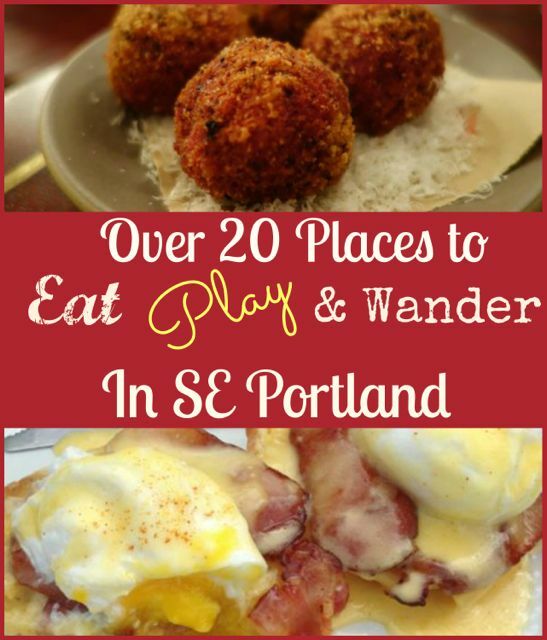 Check out 27 Must See Portland Places || Your Guide to NW Portland || Eating, Shopping and Walking My Way Thru St. John’s. I agree SE has a plethora of great restaurants. I would add Lardo to your lunch list. Yeah, how could I miss Lardo with their great sandwiches and amazing beer list!